The deep blue from southern South Dakota to northwest Kansas is snow. At 2pm, a thin line (arrows) of thunderstorms is forecast to form from southwest Iowa to around Kansas City. 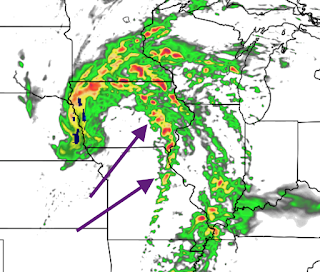 This is the line that is most likely to cause hail, damaging winds and tornadoes. 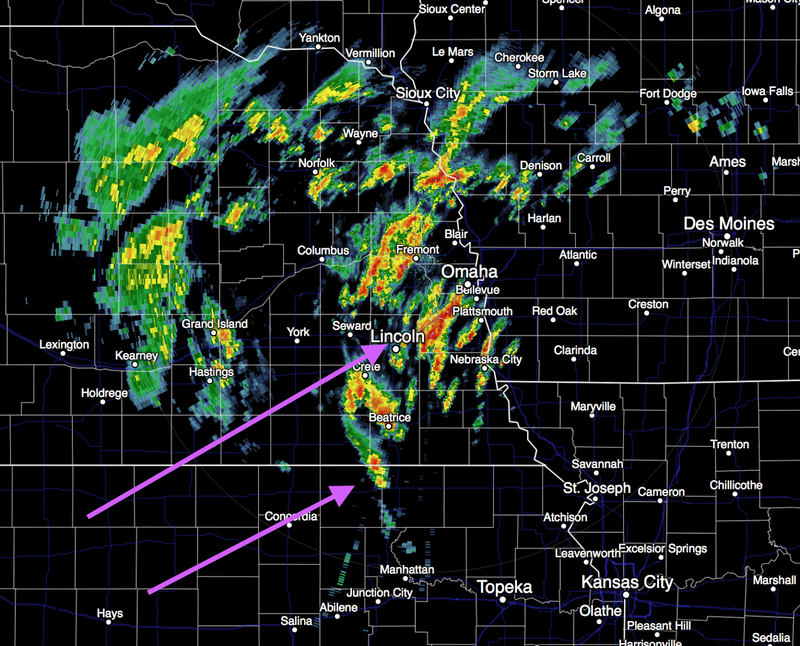 The NWS radar at 11:15am shows that line starting to form (arrows). 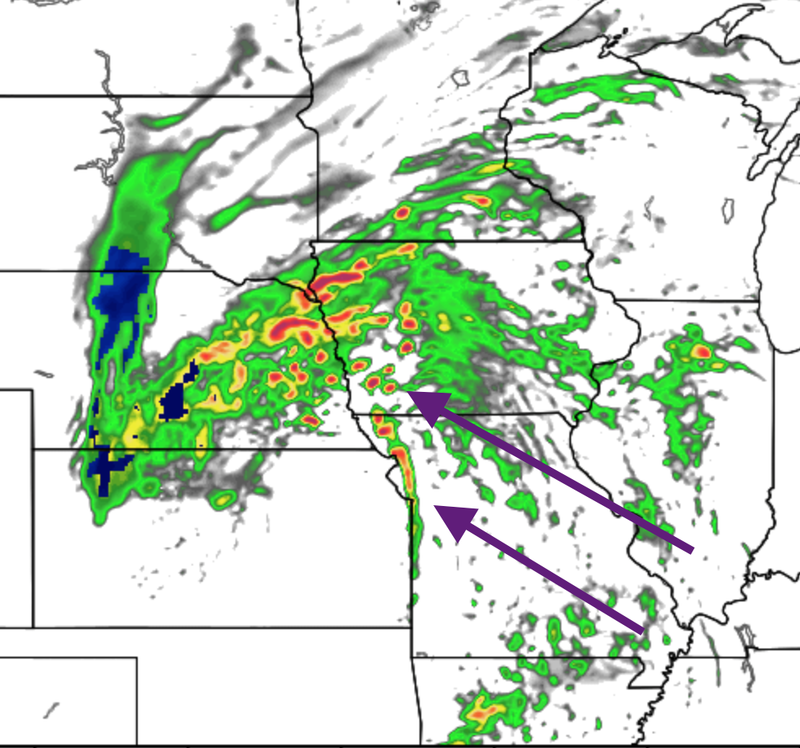 As it moves east and intensifies, the chances for tornadoes will increase. will be as this line pushes east into central Iowa and central Missouri. I expect a tornado watch will be issued for this region..
As indicated in the posting below, there is also a chance of tornadoes the Ark-La-Tex region. 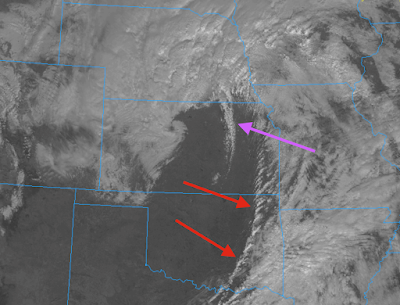 The satellite image shows the more southern storms are forming now (red arrow) while the northern storms are a bit father west (purple arrow). Under the clouds in western Kansas, the winds are frequently gusting 50 mph. The high winds will spread east during the afternoon.